This unique course, the first of its kind in the UK, builds on this country’s significant history of community-based and socially engaged art initiatives addressing social and environmental issues. You will be encouraged to take creative practice beyond the institution to build on your own interests, networks and communities. Creative skills are developed in an effective and targeted way, and grounded in critical understanding and theory. Why study MA Art and Social Practice at Middlesex University? 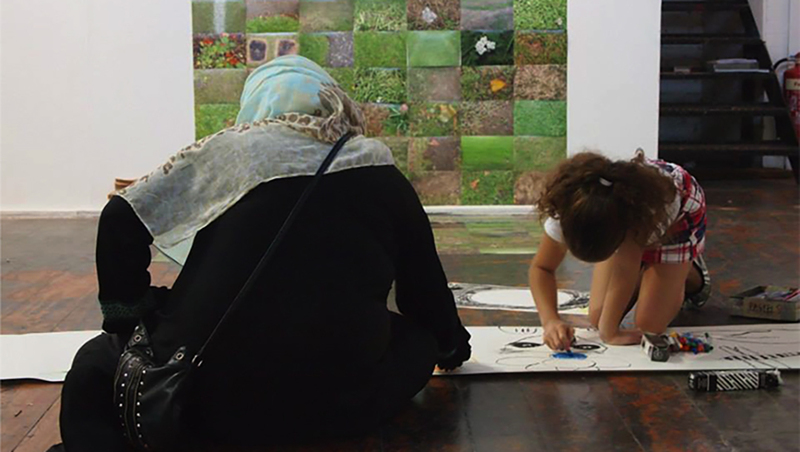 Middlesex University hosts some of the UK's most experienced and renowned practitioners with cross-disciplinary experience in the fields of community-based and socially engaged art practice. 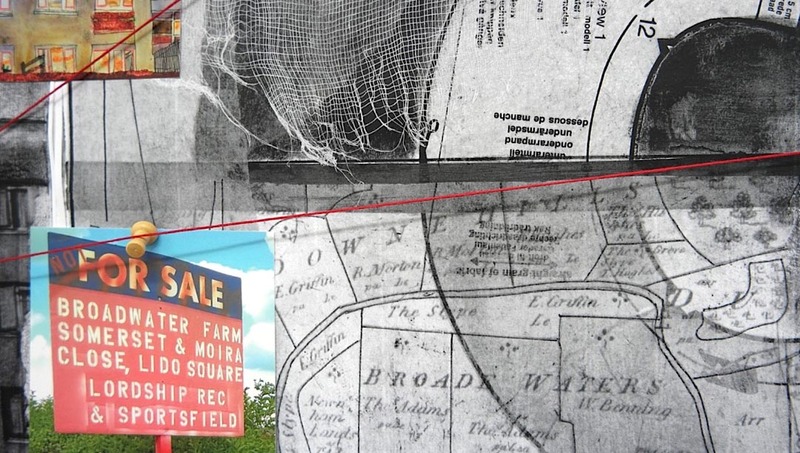 The MA Art and Social Practice builds on Middlesex University's historical roots in the progressive Hornsey College of Art, at the forefront of encouraging artists to engage and participate with communities and institutions to positively impact the world around them. It will provide you with a productive environment for debate and critical enquiry across creative disciplines where ideas can be shared and collaborations fostered. Visits to external projects, organisations and events together with virtual interactions with peers from other universities will connect you with others immersed in parallel fields of study to extend your horizons, widen your knowledge and forge connections for the future. This practice-based course is one of the few postgraduate programmes in the UK specifically designed for cultural practitioners who wish to make a difference by developing their work in an outward-facing way. You will leave the course well-equipped to pursue self-initiated projects and commissions or develop your work through the cultural and community sectors. A programme of lectures, seminars and external visits to inform and enhance your practice. Studio space for both full and part-time students. An university context that supports interdisciplinary working. Access to London's thriving scene of social engagement, cultural activism and urban renewal. 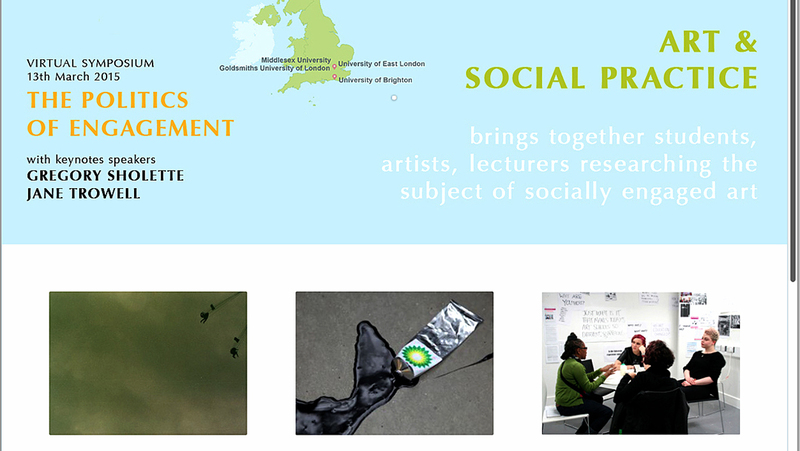 Collaborative events such as the Art and Social Practice virtual symposia and seminars with University of Highlands and Islands to share work in progress and ideas with peers across institutions. For all artists, the creative process is a process of 'not knowing'. It is important to let projects evolve beyond the known, then in this way practice truly does lead to new knowledge. What will you study on the MA Art and Social Practice? This new course is divided into five modules taken over three semesters (if studied full-time). Each module is designed to be flexible, allowing you to bring your own interests to the assignments while extending the boundaries of your current artistic practice through experimentation, research, analysis and creative exploration. You will gain experience in conducting your work in the public domain, as well as instigating, negotiating and developing projects through engagement with the wider community. These transferable skills will be an asset to whatever form of outreach work you choose to take up as an artist or cultural professional following the course. 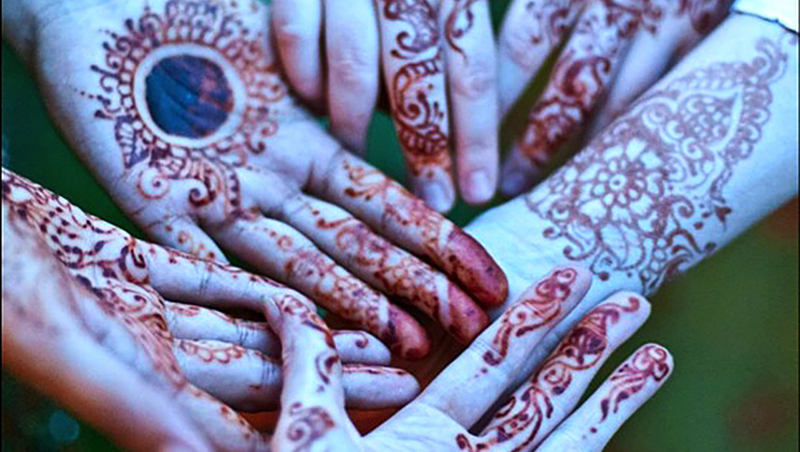 In this module you will explore appropriate contexts for conducting socially engaged art practice in a way that is effective and meaningful in relation to your wider interests and networks. This will allow you to establish a reflective and critical context for the development of advanced work in this field, informed by research and contextual knowledge. In this module you will explore key critical and disciplinary debates in contemporary creative and cultural practice and theory at an advanced level. This will enable you to establish a comprehensive investigative approach to creative practice and methodologies, and one that explores the critical interrelationship between theory and practice. In this module you will examine a diverse range of advanced approaches to art and design research, enabling you to produce an advanced, articulate and coherent body of work that reflects a personal vision and language that is appropriate to your chosen field. You will also examine, critically evaluate and develop the language(s) used to articulate research in art and design. In this module you will develop a proposal for work within a community or collaborative context focusing on the needs of a particular group. You will develop the skills and knowledge required to create collaborative and participatory work in a wider social environment, resulting in a research-backed proposal for a practical project. Using research methodologies, concepts and processes previously explored in the course you will realise a significant project in the public domain that is rooted in social engagement and aims for social change. This will be accompanied by a critical and reflective piece of writing that demonstrates your resolution and expertise. How is the MA Art and Social Practice taught? This course is taught through tutorials, lectures, seminars and workshops delivered by academic and professional practitioners with a diverse range of skills and expertise. The focus is on engagement with outside agencies, however students are supported through all processes of development, negotiation and delivery of this work. Seminars, discussions, visits to outreach projects and input by experienced project partners active in the cultural and community field help stimulate ideas, providing a wider context against which individual projects are developed. One-to-one tutorials help students to develop an individual programme of work built around their own interests, networks and communities, while extending existing artistic skills and competencies. The MA Art and Social Practice does not have formal placements; rather, students negotiate with or build groups with whom they wish to work. As well as cultural institutions and SMEs it is also possible to work within a more formal organisation, such as a school or hospital. Assessment is through the realisation of your major project outcome in an appropriate setting and coursework, including production of a journal, presentations and project documentation. Understand the ways in which socially engaged art operates within the wider social and cultural sphere. Applicants from across Art, Design and Media are all welcome, including those who have specialised in arts administration or management. We accept the equivalent of the below from a recognised overseas qualification. Entry onto this course will require a portfolio to be submitted. We like to see lots of work but don't overfill your portfolio; you should be able to carry it by yourself! You do not need to bring large pieces of 3D work; photographs are sufficient. Find out more about how to calculate your part-time course fee. The Arts and Humanities Research Council (AHRC) offers funding for some subjects. 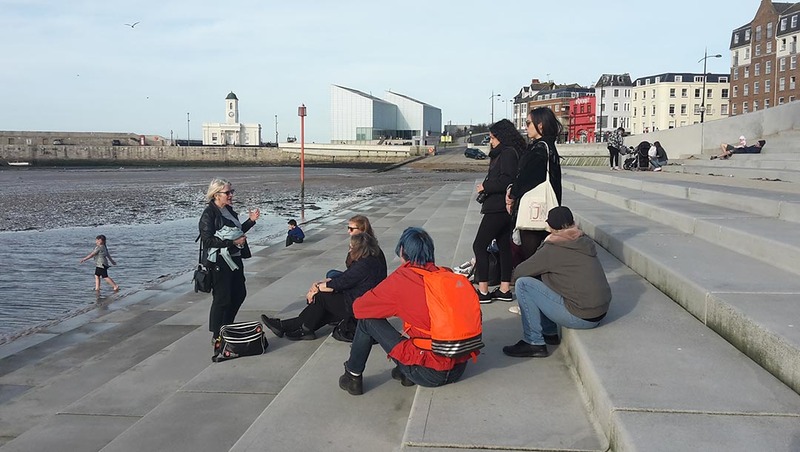 These include project work with groups and communities at sites of your own choosing, attendance at events, plus visits and trips to broaden your understanding of art in the social domain. 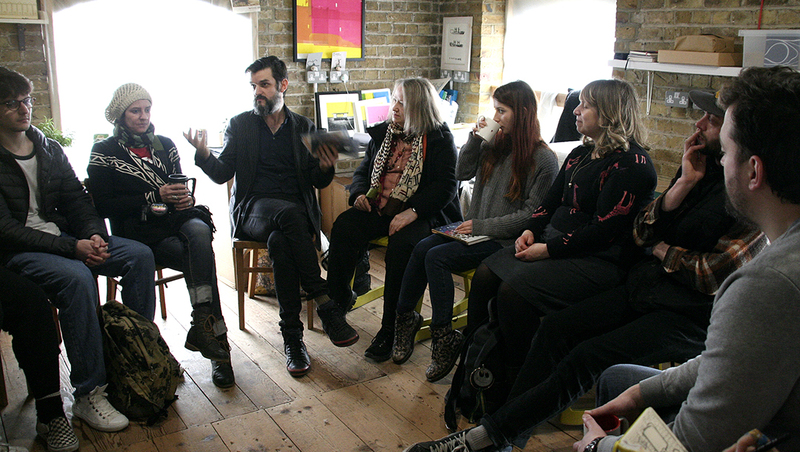 How will the MA Art and Social Practice support your career? You will be well prepared for an independent career as a socially engaged artist realising your work through fundraising, commissioning and the instigation of new SMEs and/or charities. The MA Art and Social Practice will also prepare you for employed work in the outreach departments of cultural institutions, or for taking a creative role within community or development organisations. 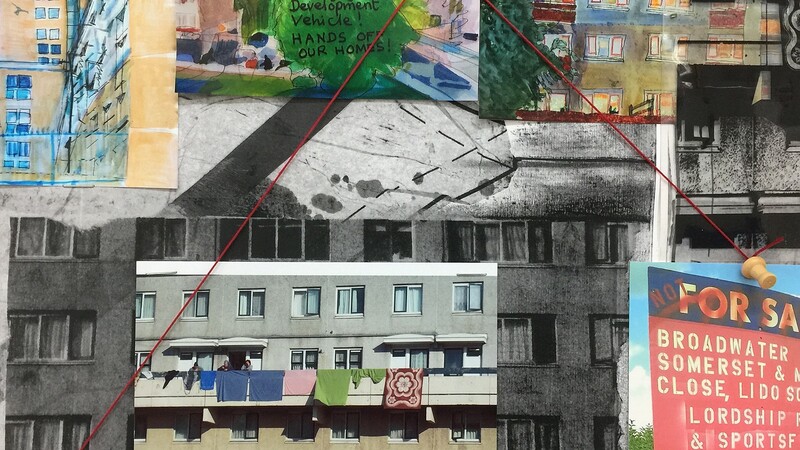 Dr Leeson is known for her collaborative and participatory work in East London, including the 1980s Docklands Community Poster Project. Her work with young people has been recognised by a Media Trust Inspiring Voices award and Olympic Inspire Mark. The Catch public artwork was voted a London 2012 Landmark, while Active Energy received RegenSW’s Arts and Green Energy award 2016. Her book Art:Process:Change – Inside a Socially Situated Practice was published in 2017. Alberto Duman’s interdisciplinary work is located at the intersection between art and urban spatial practice across diverse media and collaborative partnerships, with particular concerns to social context and the role of art in the cultural production of urban space. In September 2018, a co-edited anthology titled Regeneration Songs: Sounds of Investment and Loss from East London, initiated by his art project Music for Masterplanning will be published by Repeater Books. Simon Read is an artist concerned with environmental change. Working with coastal communities to help foster understanding of coastal and estuarine issues including the loss of intertidal habitat, he is actively engaged in projects to manage tidal flow through threatened saltmarsh sites, frequently collaborating on projects in partnership with government agencies. His academic research echoes his practice including most recently Hydrocitizenship for AHRC, completed 2017 and CoastWEB for NERC ongoing until 2019. Tansy Spinks is an artist involved in creating sound works, using improvisation with non-conventional sound making devices. She has a PhD (LCC, UAL), MA in Photography (RCA) BA Fine Art (Leeds Polytechnic) and LGSM (violin). Her practice-based PhD explored live, site specific, associative sound performance, with supervisor David Toop. Her photographic work is in The Museum of Fine Art, Houston and the National Media Museum, Bradford, now at the V&A. She has exhibited nationally and internationally. She has taught and been an External Examiner at many Art Schools nationally and is currently Senior Lecturer in Fine Art, running the MA Fine Art at Middlesex University. Dr Kokoli's interests are situated within feminist art history, theory and practice, particularly the relationship between feminism and psychoanalysis, gender politics of popular visual culture and contemporary feminist movements. 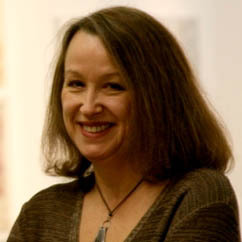 She is author of The Feminist Uncanny in Theory and Art Practice (Bloomsbury, 2016) and editor of Feminism Reframed (Cambridge Scholars, 2008) and The Provisional Texture of Reality: Selected Talks and Texts by Susan Hiller (1977-2007)(JRP Ringier, 2008).